The near constant stream of large scale credit card hacks continues apace. After credit reporting agency Equifax reported a mega-breach affecting 143 million customers earlier this month, the fast-food chain Sonic was also targeted this week, with millions of credit and debit card numbers potentially compromised. Now, data thieves have targeted the serene aisles of your local Whole Foods supermarket. On Thursday, the Amazon-owned grocer issued a statement, noting that many of the chain's taprooms and full table-service restaurants have recently been the target of "unauthorized access of payment card information." Fortunately, Whole Foods uses different point of sales systems for its regular grocery checkout lines, so only those who've patronized a Whole Foods restaurant, café, or taproom establishment should have reason to worry. If it's any consolation, Whole Foods says it's on the case: It's "taking appropriate measures to address the issue" by enlisting the "help of a leading cyber security forensics firm" and working with law enforcement to hopefully prevent further incidents. "While most Whole Foods Market stores do not have these taprooms and restaurants, Whole Foods Market encourages its customers to closely monitor their payment card statements and report any unauthorized charges to the issuing bank." 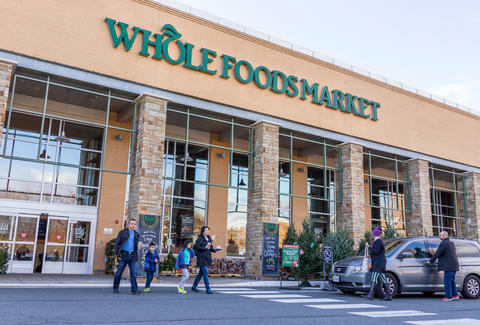 Whole Foods, which was acquired by tech giant Amazon for $13.7 billion earlier this year, has 449 stores in the United States, including 40 taprooms, according to CNET. So far, it's unclear which store locations were targeted. While the merger has caused a price-slashing frenzy across stores this summer, there's no indication whether the partnership and Amazon's vast resources will lead to enhanced cyber security at Whole Foods going forward.